Written for children ages four to eight, Christmas Love Letters from God cleverly combines both prose and poetry as the story of Jesus’ birth unfolds. The book includes seven stories, beginning with Isaiah’s prophecy and ending with the visit of the wise men. Following each story, the child will find his or her own letter from God attached to the page. Each letter begins with a space in which to write the child’s name, so each one can be specially addressed to the child. I've read several of Glenys Nellist's books for children and can say this is the best one so far. There is so much to this lovely book. 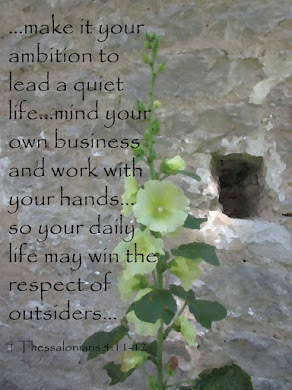 Seven stories are laid out with scripture, one of Glenys's beautiful poems, a letter from God, and a little scripture tucked into the illustration. I could easily see this becoming a tradition to read the week before Christmas, sharing one story a night and writing a letter to God on Christmas Eve or Christmas day. I love that she begins the stories with the prophet Isaiah. She handles the stories of Mary and Joseph with grace and has the wise men visit when Jesus is a bit older. To top off the excellent storytelling, Rachel Clowes' illustrations are fabulous. She uses some interesting techniques and adds in a few trinkets here and there that would be fun for a child to search and find. 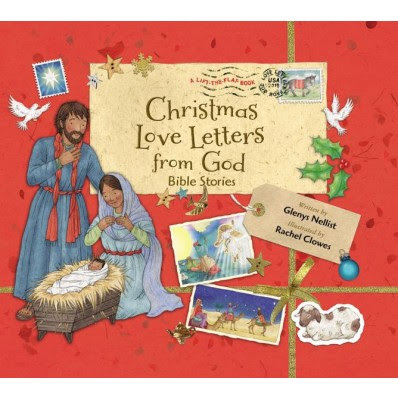 If you love sharing the Christmas story with children or would just enjoy a beautiful book for the holiday, buy Christmas Love Letters from God. I received this book for free from Zonderkidz. Bless you, Penny, for this wonderful review. Your words touched my heart. Thank you! You're welcome. I truly enjoyed your book.